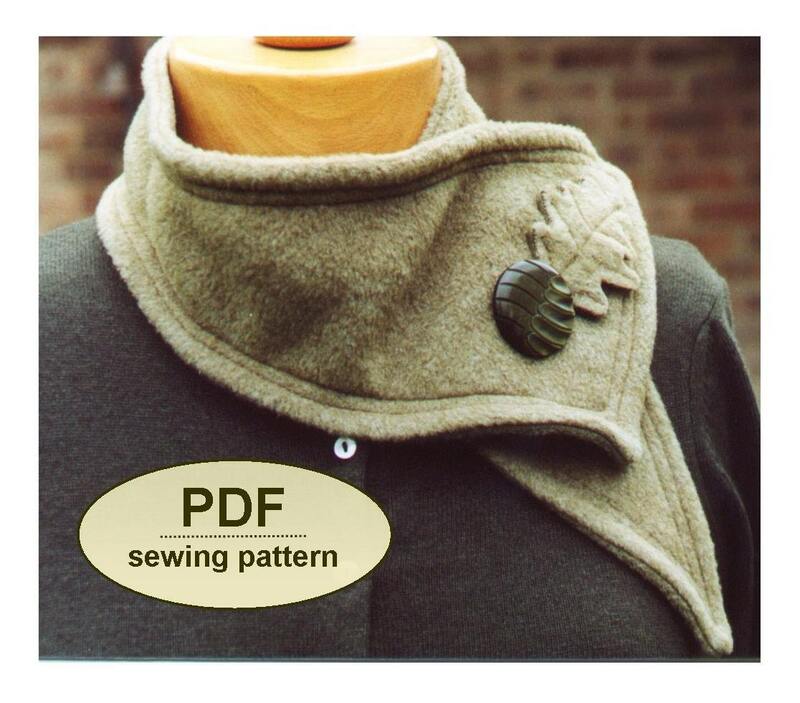 This is a PDF sewing pattern for the Harbord Scarf Collars. 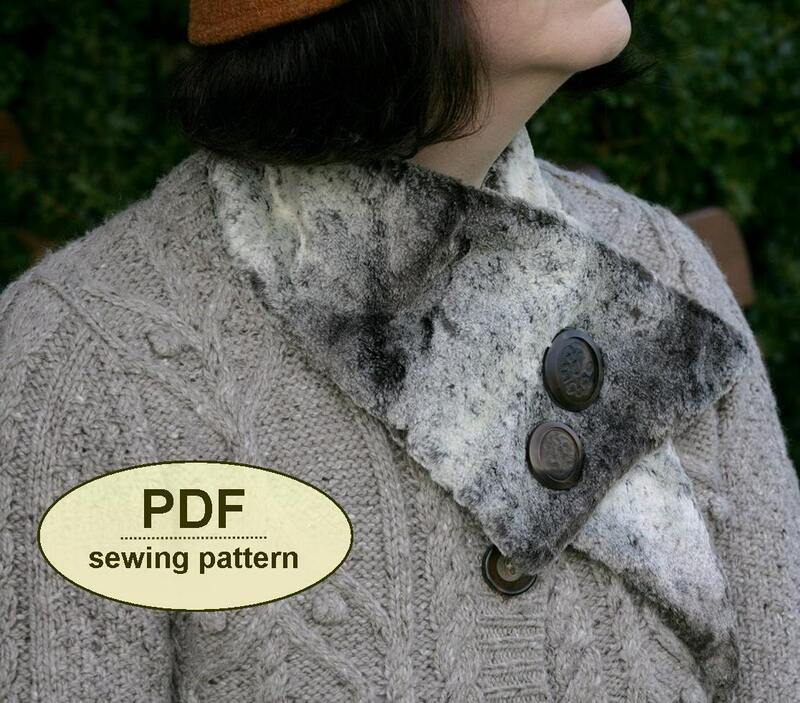 The two styles included in the pattern are taken from my book 'Making Vintage Accessories' and are influenced by the collars, stoles, scarves or “tippets” as they were often called of the 1930s through to the 1950s. In the 30s, an outfit would usually have been given the finishing touches with a hat, a matching scarf, cravat or tippet, and often a pair of toning gloves. 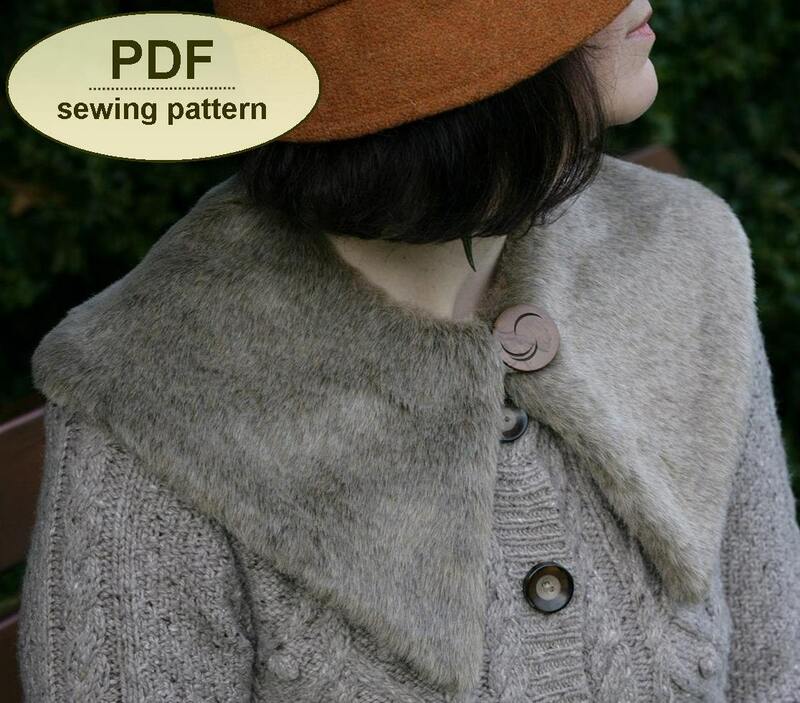 A fur tippet or detachable collar is still a simple and effective way to add a touch of vintage glamour to a modern outfit. 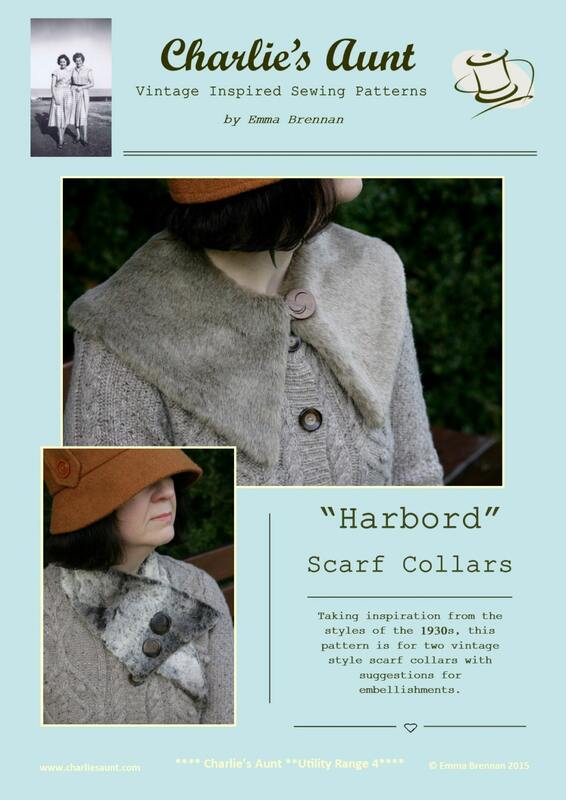 The Harbord Asymmetrical collar (View 1) is based on a 1930s shape. 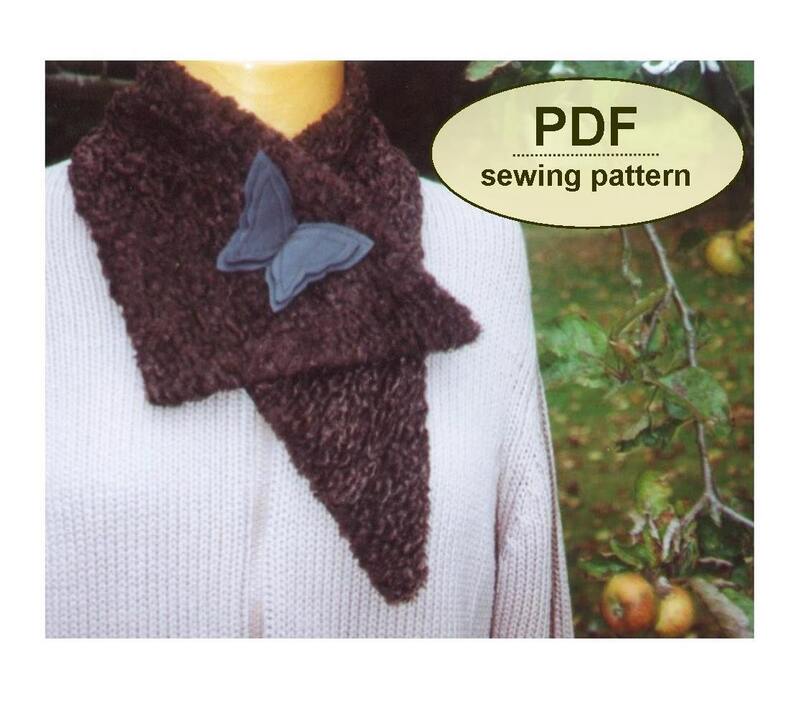 It fastens with snaps or Velcro and can be made in fake fur with a soft wool backing or in fleece fabric. The Puritan style collar (View 2) is a 50s shape. It has a loop and vintage button fastening and it is backed with soft wool fabric to prevent it from moving around too much. This collar could add a touch of elegance to a plain wool jacket, knitted coat or cardigan and it offers a stylish alternative to a scarf. This PDF has 13 pages—6 pages including the cover, general, cutting out and step-by-step instructions, and 7 pattern sheets with the templates, which you must print and cut out. All of the templates are actual size. As the templates are too big to fit on one sheet, you must cut out and tape these templates together where shown. Instructions for this are clear.